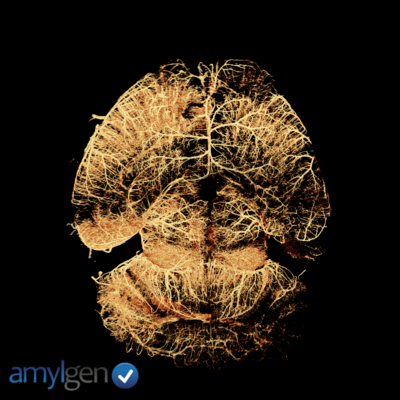 Robust imaging and analysis process to assess with quantitative parameters the efficacy of a cytotoxic drug. The image represents an example of a Hoechst dye in blue for the recognition of cell clusters and an EDU dye in green for the proliferative aspect. 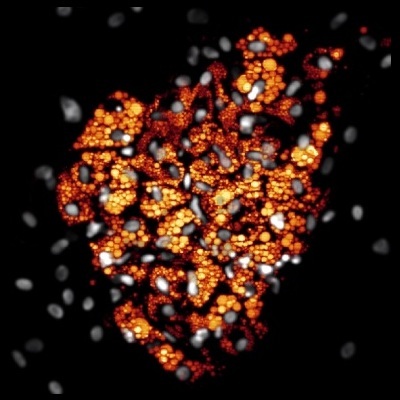 This procedure allows by using quantitative image analysis to evaluate and quantify the cytotoxic activity of anticancer drugs on 3D multicellular models, and can be applied to multi-parametric analysis to address customers’ specific needs. 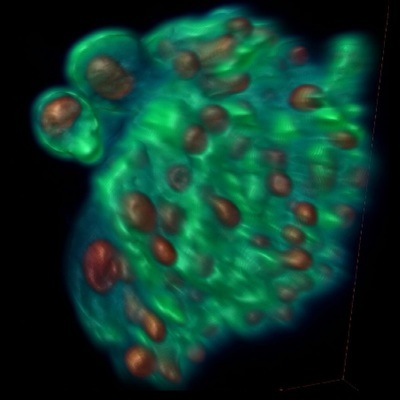 3D visualization and reconstruction of a two-photon z-stack of a spheroid of tumor cells grown in a matrix of hyaluronic acid. 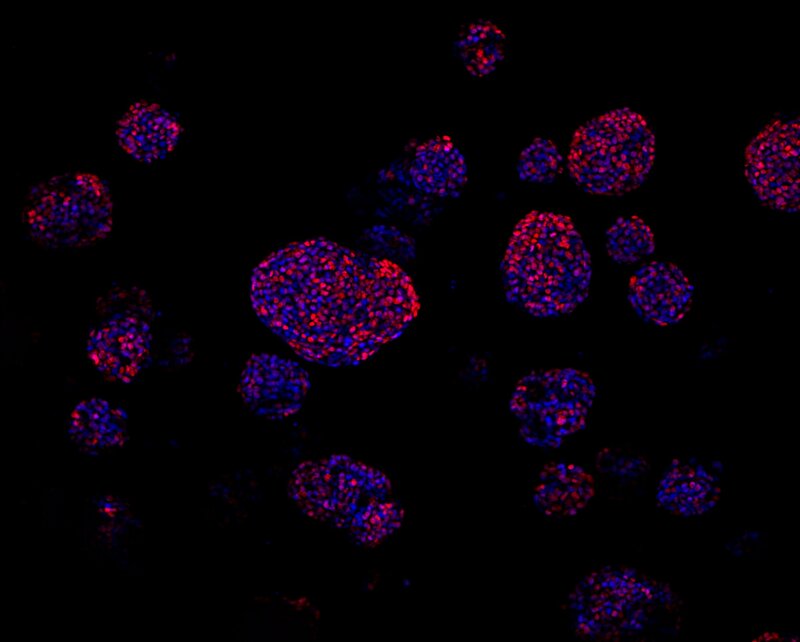 Nuclei were stained by using DAPI and the actin cytoskeleton stained with phalloidin-alexa488. 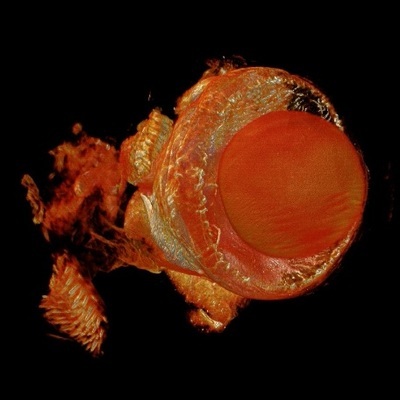 Images made with an apotome videomicroscope. The quality of the images produced allows us to automatically quantify the production of lipid droplets by image processing. Process developed in collaboration with DIVA Expertise. Images made with an apotome videomicroscope. Automatic quantification of the production of collagne by image processing. Process developed in collaboration with DIVA Expertise. 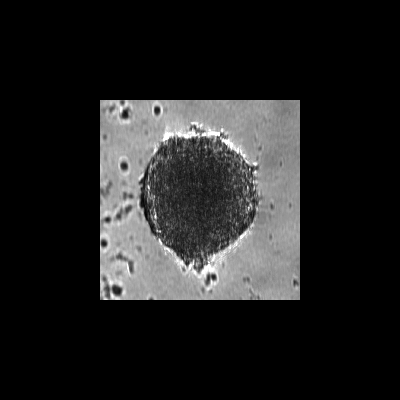 Volume rendering of a multicellular spheroid obtained from MCF-7 human breast cancer cell lines with a propidium iodide (PI) staining after 3 days of culture. 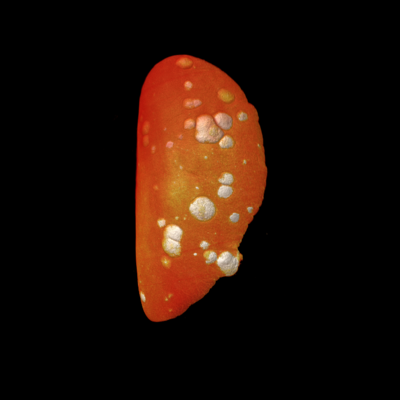 Images taken by wide-field light sheet microscopy, with a resolution of 0.645 µm in XY and 1.3 µm in Z. Spheroid diameter is about 250 µm. 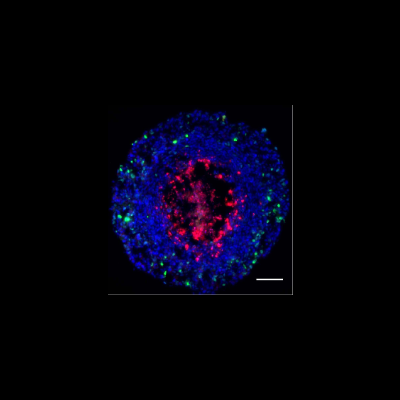 Multicellular 3D spheroid models are now widely accepted by the scientific community as “avatars” of microtissues or tumour microdomains. 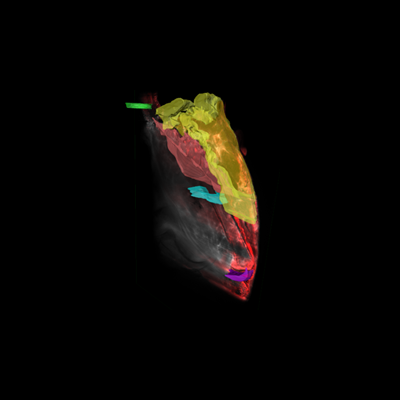 They reproduce the 3D multicellular architecture and interactions observed in vivo. 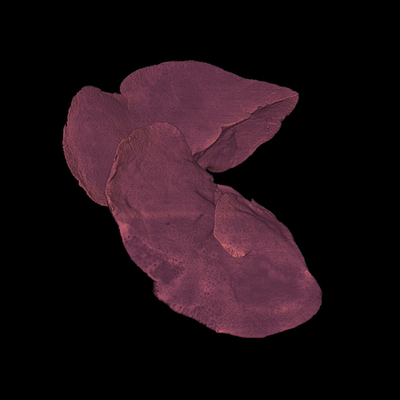 Imactiv-3D offers its expertise in histological analysis to quantify the effects of your compounds in 3D multicellular spheroids. Imactiv-3D offers its expertise in cell culture, cancer cell biology and pharmacology to test your compounds using 2D and 3D cell culture systems. 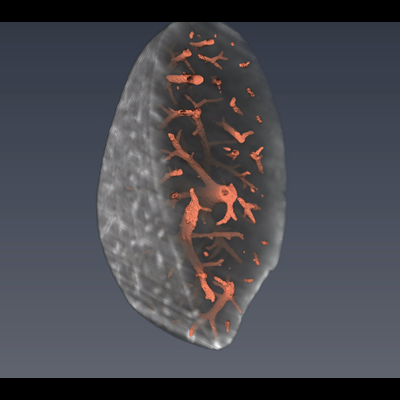 In collaboration with Poietis SAS Visualization of the structure of a large bioprinted tissue and follow up of its changes up during a few days after seeding. The dimension of the sample are 1cm² by 1mm in depth. The tissue is printed as shown on the schematic figure. After fixation, the tissue actin was labelled with phalloidin. 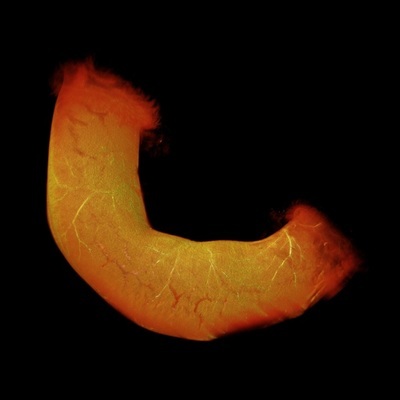 Images were acquired by light sheet fluorescence microscopy. Imactiv-3D offers a new procedure to visualize, analyze and quantify the labelling of different sub-cellular structures in 2D cultures. Preadipocytes are large cells that become even bigger when they start to differentiate. 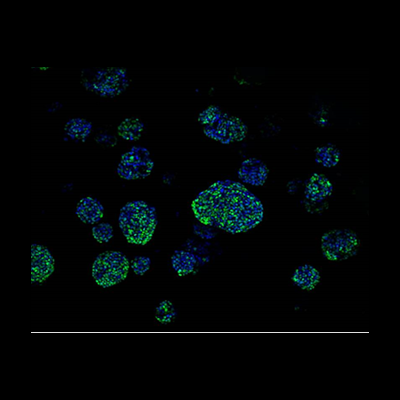 Imactiv-3D offers a new procedure to image, analyze and quantify the labelling of different sub-cellular structures in human preadipocytes cultures. Imactiv-3D provides a procedure to visualize, analyze and quantify the pharmacological activity of drugs on 3D multicellular spheres grown in a physiological matrix that can be applied regardless of the scaffold used. In vitro skin models are widely used for skin biology studies and bioassays. Although reconstructed epidermis is the most widespread model in toxicology regulatory testing, bioprinted skin is a major innovation in this field. 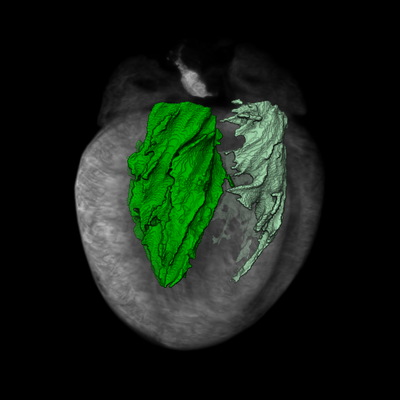 In this context, Imactiv-3D has developed a new procedure to image and analyse such samples. Imactiv-3D provides the expertise to assay the antiproliferative/cytotoxic effects of your compounds on 3D multicellular spheroids. Images taken by wide-field light sheet microscopy, after sample transparisation, without any staining. Automatic vascular network recognition by image processing. Images taken by wide-field light sheet microscopy, after sample clearing, without any staining. Images taken by wide-field light sheet microscopy, after sample transparisation, without any staining. Automatic ventricule recognition by image processing. 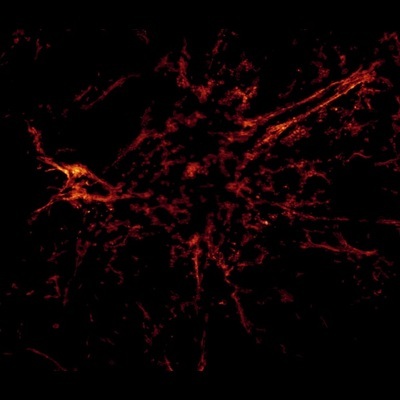 Images taken by wide-field light sheet microscopy, after sample clearing without any staining. 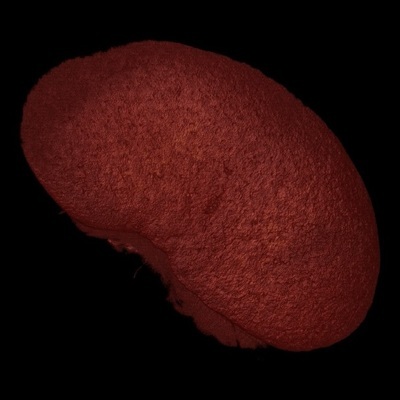 Images taken by wide-field light sheet microscopy, after sample transparisation, without any staining. 3D reconstruction from 16 acquisitions, resulting from 4 angles of view at 90 ° from each other, with for each angle of view 4 acquisitions made with a vertical overlap of 30%. 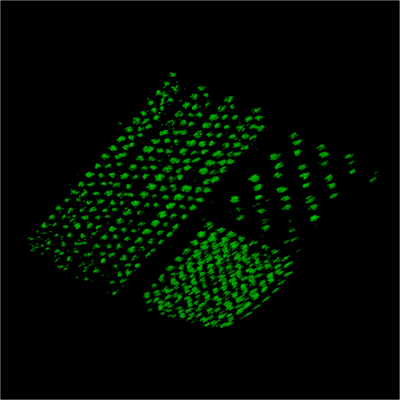 Each of the 16 volumes includes 900 images of 1500 x 1000 pixels, a total of about 20 billion voxels. 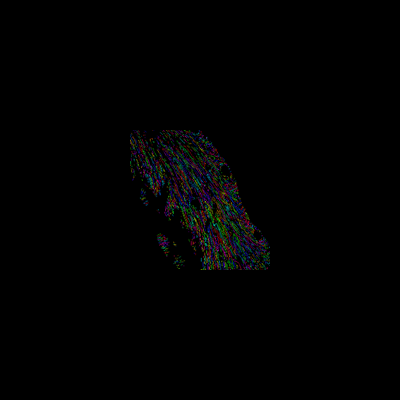 The resolution is 7.7 μm in XYZ. The data set is 40 GB. Permanent occlusion by ligation of the left coronary artery was performed to mimic myocardial infarction. Biological 3D models (organs, organoids, tissues, solid biopsies, cell aggregates) are becoming essential tools for the development of new therapies. They are usually analyzed by using 2D histological techniques. to obtain a complete analysis and to better capture the morphological phenotypes, without any physical sectioning. Light sheet fluorescence microscopy has emerged as a powerful imaging tool for the 3D characterization of tissues at the cell scale. 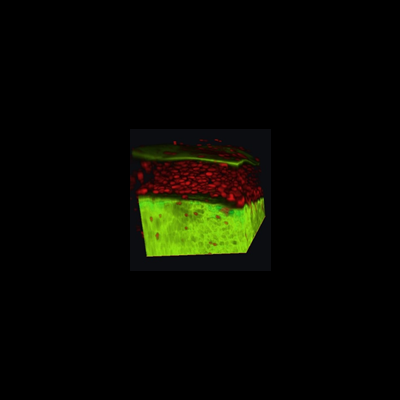 In combination with optimal tissue optical clearing methods, it enables high resolution imaging of thick biological samples. 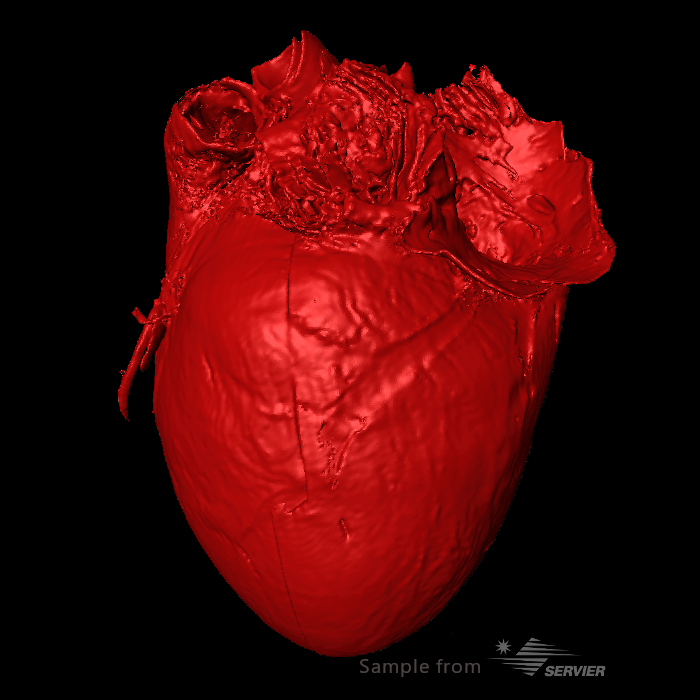 Recent advances in image processing allow very detailed 3D reconstructions of such samples to study the volume of anatomical structures/sub-structures or the cell organization within organs. You will see your samples in a different way, and you will be able to better visualize and quantify the sample morphology as well as the diffusion and the effects of the molecule(s) under study. Over the last decades, 2D or 3D imaging technologies for in vitro, ex vivo and in vivo samples have been constantly pushing back the limits of spatial resolution, thus increasing image quality. However, this has resulted also in the accumulation of large amounts of data that require strong expertise for extracting the relevant information. 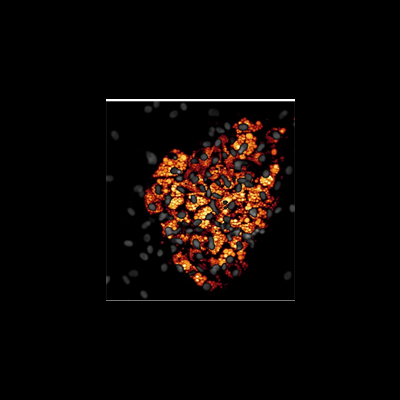 Imactiv-3D offers its expertise in image processing to develop and implement the most efficient pipeline to best match your needs in terms of visualization and quantification methodologies for assessing the effectiveness of your molecules. 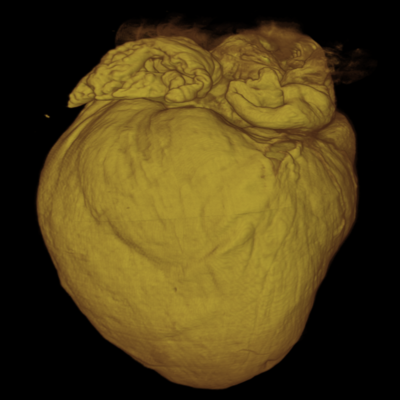 Imactiv-3D has developed an imaging and image processing process for cardiac ventricular volume measurement in ex-vivo mice. 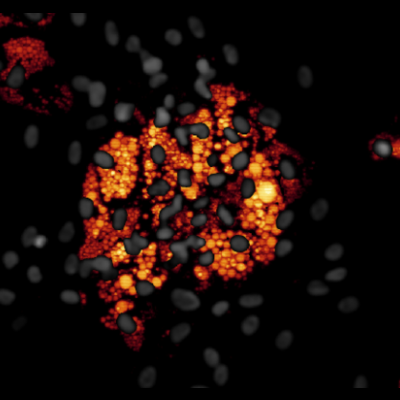 Images taken by wide-field light sheet microscopy, after sample clearing. The vascular network is labeled with a lectin.